The message that came out of the Recent Infusionsoft Annual User Conference was do the basics well , keep it simple, work the customer lifecycle and build relationships. Ensure you have these 3 campaigns in place a) Lead Generation b) Welcome and c) Long Term Nurture as the minimum. The welcome / indoctrination sequence is often overlooked when people first enter your world. Now this is exciting a new landing page builder will be released shortly, i have played with initial beta and it enables you to build nice landing pages. We have only just started testing and can’t wait for the official release to everyone’s app. Integration was announced you can add email capture box within a video to capture leads, I have have not played with this one yet to comment further. 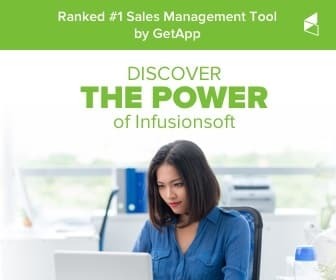 Very exciting times with Infusionsoft they are not holding back in pushing and growing their great products. The solid backing the company has , the amazing ethos and can do attitude across the business leave me hanging for more. The flagship product is just so so good. Helping small business succeed? yes indeed!